This Sept. 21, 2018, file photo shows Iggy Azalea in Las Vegas, Nevada. The incident took place on Thursday night, when Azalea was performing for a concert in Rio de Janeiro, Brazil. The rapper was singing her song "Black Widow," when one of her three dancers suddenly fell to the floor in front of the shocked audience. 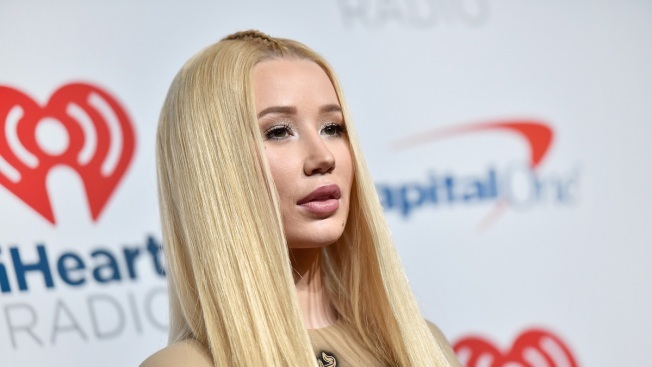 Azalea continued to perform, unaware of the severity of the young woman's condition. She immediately called for a medic to come onstage, before eventually finishing out the show. However, the Australian native became the subject of much criticism because of her decision to let the show go on. Azalea later defended herself against the claims on Instagram, where she also gave an update on the dancer's condition. In her statement, Azalea wrote: "Just want to let everyone asking know my dancer is OKAY!" The "Fancy" rapper then delved into the thoughts running through her mind at the time of the frightening incident. She shared that she "thought [the dancer] had just fallen/twisted her ankle," so she kept going. Azalea acknowledged that it "may sound harsh" but she felt obligated to "keep singing until the music stops" before asking for a medic.